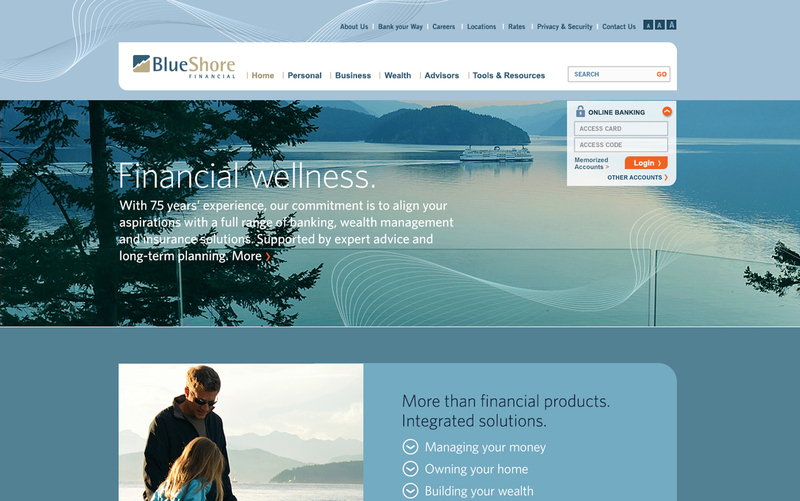 The first responsive website for a Canadian credit union increased visitor engagement and interactivity with BlueShore Financial’s new financial spa brand. A comprehensive digital strategy ensured this complex site feels simple and easy for customers to navigate. Developing strategic solutions for complex, content-heavy websites is one of our specialties. 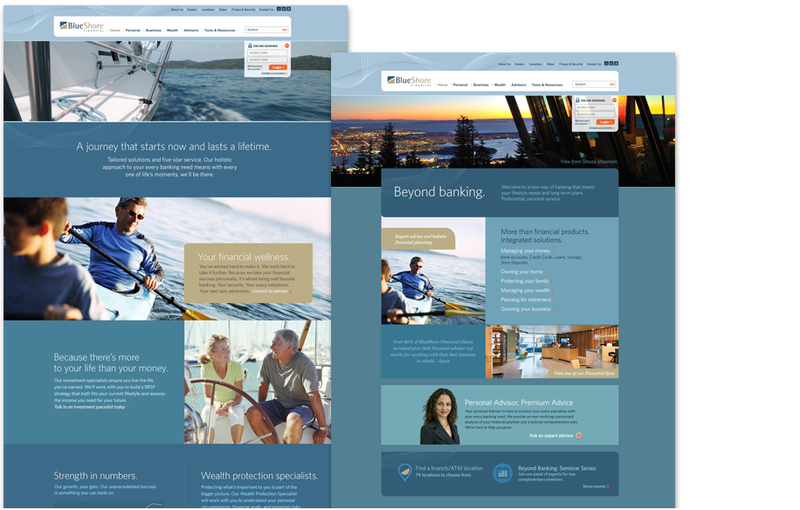 BlueShore Financial required the site’s information design, visual design, and content creation to reflect its highly sophisticated, financial spa brand. Bringing this unique brand to life online was a challenge White Crow Communications welcomed. 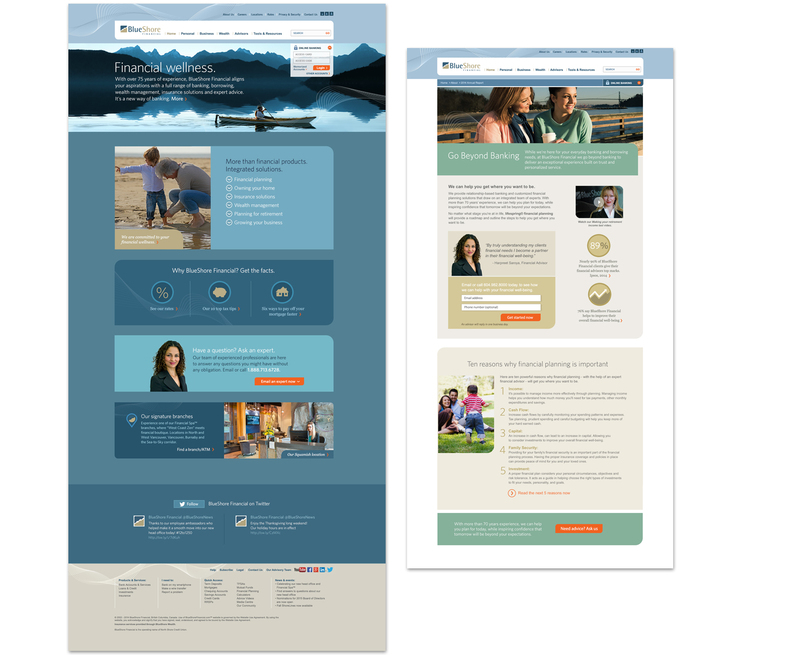 To create a story-driven homepage, we tested three different strategies with BlueShore’s target group of new clients. This process enabled us to uncover a DESIGN APPROACH that FOCUSED ON trust and credibility, while highlighting the credit union’s long history. 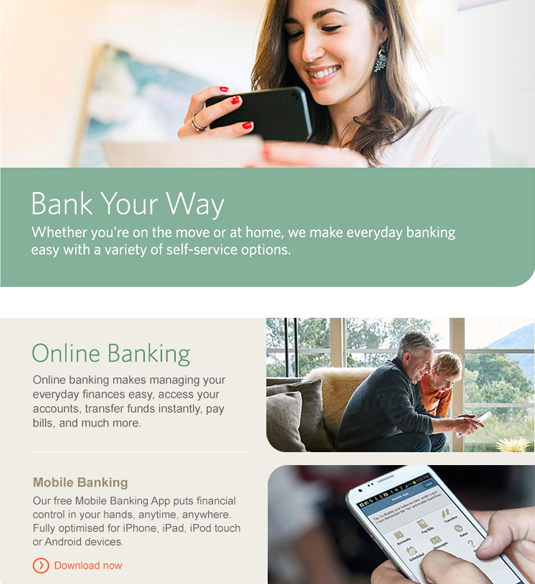 From developing the content strategy to information design, usability testing, multi-platform and cross-device accessibility, and a visual design that ensures visitors feel like they’ve just walked into a financial spa branch, we worked collaboratively to launch this highly successful website. Once the website launched, we enjoyed an ongoing relationship with BlueShore to further bring their financial spa brand to life online. During this process we conducted extensive usability testing and also re-launched their home page, which increased interactivity and brand engagement. We redesigned other key sections of the site, including Ways to Bank, Careers, Financial Spa, Our History and promotional campaign templates. Our communications team began working with White Crow Communications in 2011 when we contracted them to provide strategic direction on one website. Over the past four years, we have hired Sarah and her team to provide guidance and their expertise on at least five large projects. Sarah’s very nature is to be collaborative: she seeks to learn from everyone and offers her strategic viewpoint in an always unflappable manner. They’ve become our go-to partner when undertaking a new web-based project. As a team, we would characterize the White Crow members as approachable, accountable, enthusiastic, flexible, knowledgeable and experts in the field of web development. In the end, they truly executed on the web strategy resulting in a website that delivers a premium brand experience catering to our target audience. Working with White Crow has truly been a wonderful experience. They combine strategy with design to create some amazing work.